Why: Benefits include increased concentration, improved air quality and less traffic. 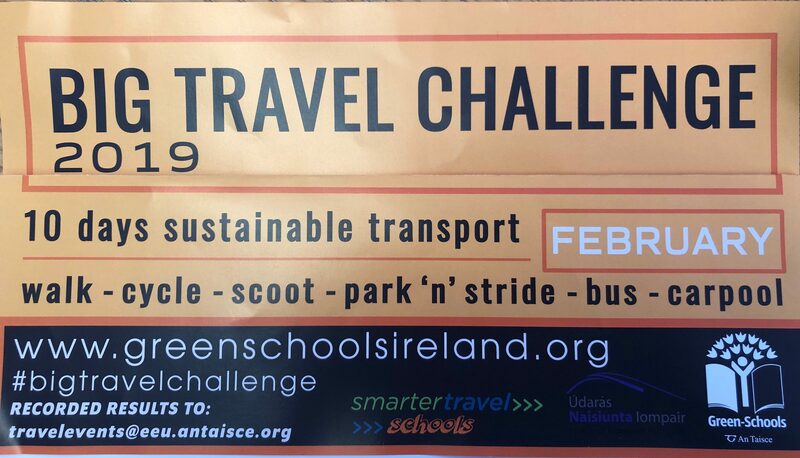 In addition to our WOW days St. Malachy’s BNS will be taking part in ‘The BIG TRAVEL Challenge’ by promoting a sustainable mode of transport for 10 days. We have chosen to promote ‘Park n’ Stride’ as over half of the children in our school travel by car. Our aim is to reduce the number of cars coming to our school gates. All we ask is that those of you who normally travel to and from school by car, park at a suitable location and walk the last 5-10mins of your journey to/from school.